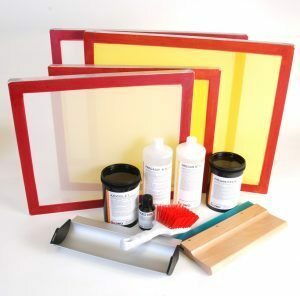 Our Screen Printing Kits are suitable for the smaller screen printer, beginners and artists. 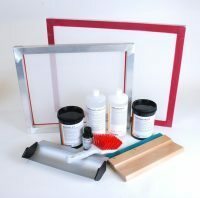 The printing kits comprise of the following products. You have a choice of wood or aluminium frames, choice of mesh to suit your requirements and can add further frames to your kit at a discounted price. We manufacture and supply screen printing products. All of our products are of a professional quality.